Ontario is a wealthy province, yet the latest child and family poverty data illustrate that not all Ontarians start from an equal place. According to the latest tax filer data, 19.5% of children under the age of 18 live in poverty (Census Family Low Income Measure After Tax). The percentage of children in marginalized families who live in poverty increases dramatically due to systemic barriers: one in two children of immigrants, one in four racialized children, and one in three Indigenous children. Significant levels of child and family poverty are present in each and every riding across Ontario. Families in Ontario need a strong social safety net to escape poverty. 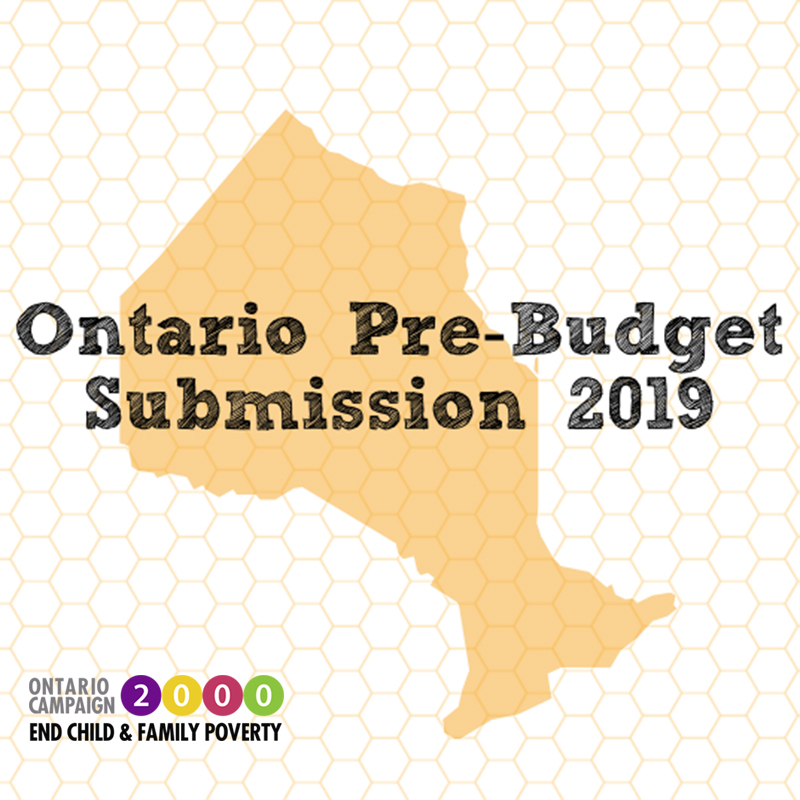 The Ontario government has the opportunity to drive down poverty rates through the 2019 budget by investing in key areas to support work becoming a pathway out poverty, access to child care, improved income security and affordable housing.